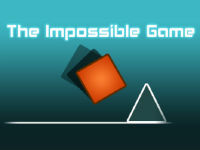 The game is really impossible !!! When you fail you will be more excited to start over and over again. Starting this mode you can place flags down as you progress through the level, in this case could restart from last dragged flag. You must get through all levels, from start to finish only with one life. Try and share, this is real fun.